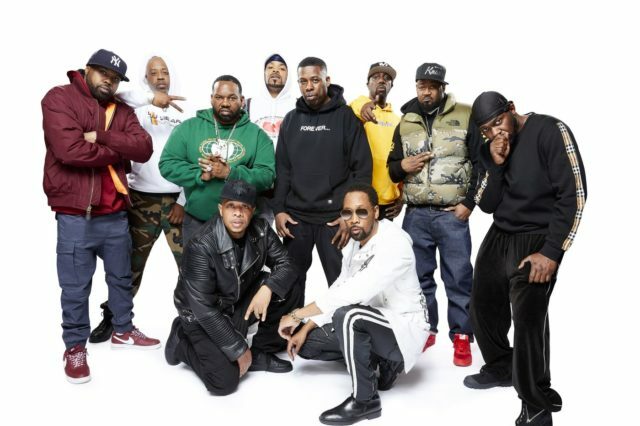 Fresh off the Sundance premiere of their upcoming Showtime documentary Wu-Tang: Clan Of Mics & Men, The Wu-Tang Clan announce dates in North America including a stop at the Riverside Theater. The Wu-Tang Clan has released seven gold and platinum studio albums with worldwide sales of more than 40 million albums. With the release of their debut album in 1993 songs like “C.R.E.A.M and “Protect Ya Neck” introduced hip-hop pioneer, The RZA, as a groundbreaking hip hop craftsman. 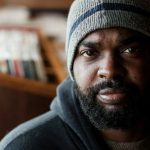 With lyrics that combine the reality of 1990s New York and the world of martial arts, the Wu-Tang Clan has created a unique mythology that captures the hearts of fans worldwide. Tickets go on sale this Friday, March 1 at 10 a.m. Check out my interview with one of the founding members of Wu-Tang Clan, The RZA below from this past summer when he was here for a special screening of “The 36th Chamber of Shaolin” during Hip-Hop Week MKE. 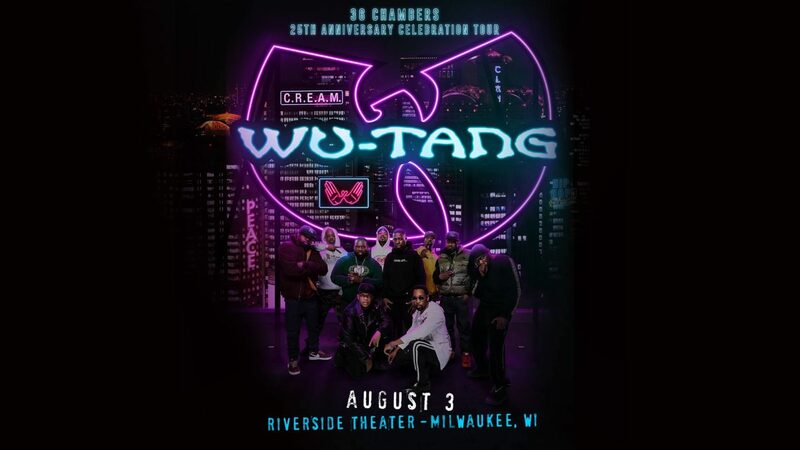 Can you believe it has been 25 years since the debut of Wu-Tang Clan’s groundbreaking album, “Enter the Wu-Tang (36 Chambers)?” The hip-hop group will celebrate this anniversary with a tour and will make a stop in Milwaukee at The Riverside Theater on Aug 3.